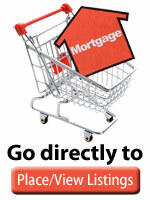 You can lock in a rate for the life of the mortgage at about 1/2% less than the equivalent 30-year mortgage. The disadvantage is that although the interest rate is lower, monthly payments are higher than for 30-year mortgages of the same amount. That’s because the principal — the amount borrowed — has to be paid back in 15 rather than 30 years. This increases the principal portion of the payment. If you can handle the higher payment, the 15-year mortgage will save you a lot in interest over the life of the loan, because you pay interest only half as long. However, you could save almost as much interest by making extra principal payments on a 30-year mortgage loan to pay it off ahead of schedule. That way, you wouldn’t be required to make the bigger payments, as you would with a 15-year loan, so you won’t be caught in a squeeze if you have an expensive month. Remembering always that CREDIT CARD loans are nearly always FAR more expensive than mortgage loans and are not tax-deductible. One-year adjustable-rate mortgages typically run about 2% less than 30-year mortgages for the first year. The catch: The rate will adjust every 12 months, usually by adding 2.75 percentage points to the rate paid by one-year U.S. Treasury securities. So when prevailing rates rise, ARM rates do, too. Usually, ARMs are capped and can go up or down no more than 2 percentage points in a year, or a total of 6 points during the life of the loan. That means an ARM issued today at 4.25% could someday charge as much as 10.25%. Obviously, ARMs cost less than 30-year loans for the first 24 months. And because the first year’s payments are low, borrowers can qualify for bigger loans. But ARMs generally must offer bigger up-front savings than today’s to be good long-term bets. They are more attractive when the short-term interest rates that determine adjustments are likely to fall over coming years. Please be aware that NO economist truly knows the future path of interest rates, any more than they know the future prices of shares on the stock market. Hybrid ARMs offer a starting rate for three, five, seven or 10 years, then go to an annual adjustment the same as one-year ARMs. Obviously, the appeal is the longer period for the cheap up-front deal. A hybrid might be good if you think the short-term rates used for adjustments will come back down by the time the adjustments begin. And a hybrid can save you money if you don’t intend to stay in your home for more than a few years. Savings during the first few years can be big enough to compensate for several years the higher rates you might pay after the adjustments begin. If you’ll have the mortgage for only seven or eight years, a five-year hybrid might be cheaper than a 30-year loan even if the hybrid makes maximum adjustments for a year or two. With a balloon mortgage, the payments are calculated over an amortization period of perhaps 15 or 30 years. But the remaining principal balance of the mortgage is payable in full after a fixed, agreed period, often 5, 7 or 10 years. Common with seller financing and commercial loans. We cannot tell you. You must do your own research and obtain expert financial advice to decide what is best in your situation.